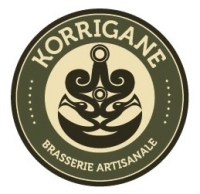 QUEBEC CITY, QC – La Korrigane, a brewpub that previously operated in Saguenay, Quebec, will soon be returning with a new location in Quebec City. Founded in 2004 by John Foster as part of the Cafe Bistro Victoria in the La Baie borough of Saguenay, the first La Korrigane closed in 2007 along with the restaurant. It’s now being revived by Foster’s daughter, Catherine Dionne-Foster, who intends to stick primarily with the English-style ales that the original brewpub specialized in. If all goes as planned, La Korrigane will be opening in March in Quebec City’s burgeoning Saint-Roch neighbourhood. I live next door and very much look forward to the opening! It’s wonderful to see St-Roch flourish.